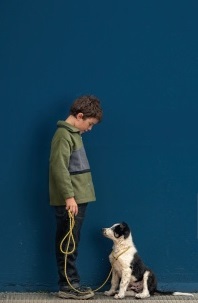 Dogs Help Kids Feel Less Stressed: New Study – FIREPAW, Inc. While dogs’ ability to act as natural stress buffers may seem intuitive to dog owners, it is key to have scientific evidence that this phenomenon is in fact true. This is because scientific evidence can pave the way for legislative and school policies and rulings that can benefit youngsters who depend on their dogs to lower stress levels. This latest study examined children’s responses to stressful situations to determine if their pet dogs helped to mitigate their stress levels. The children were randomly assigned to experience the stressor with their dog present for social support, with their parent present, or with no social support. The results indicate that pet dogs can indeed provide socio-emotional benefits for children via their stress buffering effects. The present study tested whether pet dogs have stress-buffering effects for children during a validated laboratory-based protocol, the Trier Social Stress Test for Children (TSST-C). Participants were 101 children aged 7–12 years with their primary caregivers and pet dogs. Children were randomly assigned in the TSST-C to a pet present condition or one of two comparison conditions: parent present or no support figure present. Baseline, response, and recovery indices of perceived stress and cortisol levels were computed based on children’s self-reported feelings of stress and salivary cortisol. Results indicated that in the alone (no social support) condition, children showed the expected rise for both perceived stress and cortisol response to stress. Pet dog presence significantly buffered the perceived stress response in comparison to children in the alone and parent present conditions…The results support the notion that pet dogs can provide socio-emotional benefits for children via stress buffering. Previous Does Yawning Bond Dogs with their Owners?